Showing 1 - 3 of 3 Products for Tonneau Cover Hardware Kit. BACKRACK(TM) products are manufactured exclusively in North America at our Oakville, Ontario manufacturing facility. Outsourcing jobs offshore is not part of our corporate culture. We feel that in order to control quality and maximize efficiency, a hands-on approach to manufacturing must be followed. Some of our competitors design or copy products and hand them off to a third-party manufacturer to add to their assortment of products. 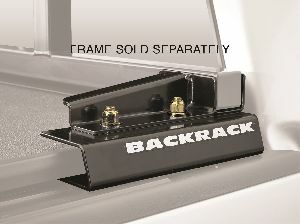 At BACKRACK(TM), we have been manufacturing quality truck racks since 1988. We have focused on our core product line and, as a result, our processes are lean and efficient. This has enabled BACKRACK(TM) to offer competitive pricing, superior quality, and fast turnaround times for our dealers and distributors. We are emotionally invested in our products, our company, and our reputation. When third party manufacturers build products, that level of commitment is lost. 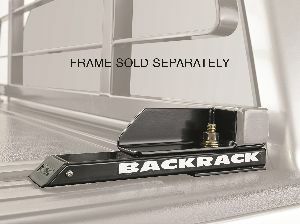 BACKRACK(TM) products are available wherever truck accessories are sold across North America. With warehouse locations in Ontario, New York, and California, our product is never far from where you need it. Our extensive network of Distributors and Dealers ensure that BACKRACK(TM) products are available for installation on your truck immediately or, within a few days. Be sure to ask for BACKRACK(TM) products by name and please, don't be fooled by cheap imitations. Only BACKRACK(TM) products have the BACKRACK(TM) trademark on the product.